Are you interested in doing business in Jordan? Are you interested in taking a trip to Jordan? Are you of Jordanian heritage and living, working or visiting Cleveland or Northeast Ohio? Submit your Cleveland Jordanians news and events. The Cleveland Jordanian community was represented at the 8th Annual ICC-WIN Cleveland Multicultural Holiday Celebration on Wednesday, December 6, 2017 at the Global Center for Health Innovation in Cleveland. The Cleveland American Middle East Organization (CAMEO) is a nonpartisan, nonsectarian political action organization established in 1970. They celebrated their 47th anniversary and induction of new officers at a dinner event at St. Elias Cultural Center. 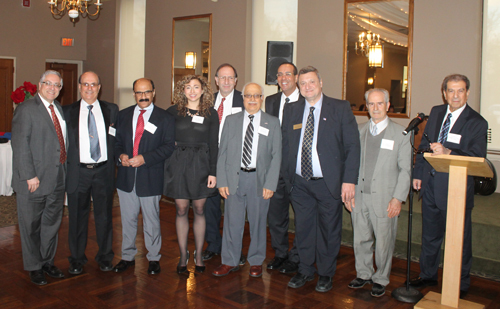 The Cleveland Jordanian Community was represented at the 7th annual International Community Council - Worldwide Intercultural Network (ICC-WIN) holiday party on December 14, 2016. 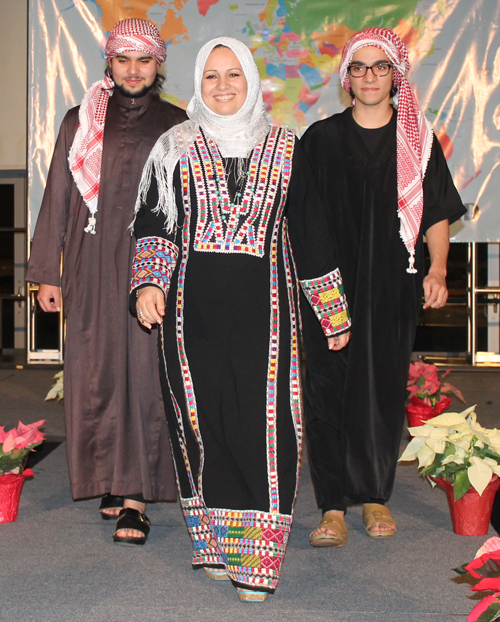 120 people participated in the fashion show and each walked the runway to music from their country. Click on the white arrow to watch the short video of the Jordanian models Raidah, Ali and Ahmed Al-Ramadan. 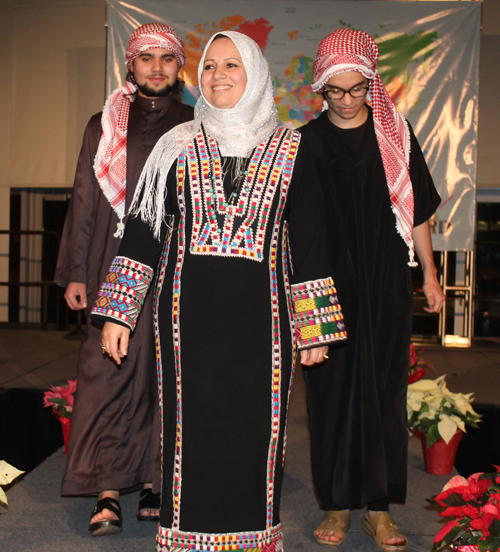 A representative from the Cleveland Jordanian community participated in the International Community Council - Worldwide Intercultural Network's (ICC-WIN) 5th annual multicultural holiday celebration at the Global Center for Health Innovation in the Cleveland Convention Center in Cleveland Ohio. 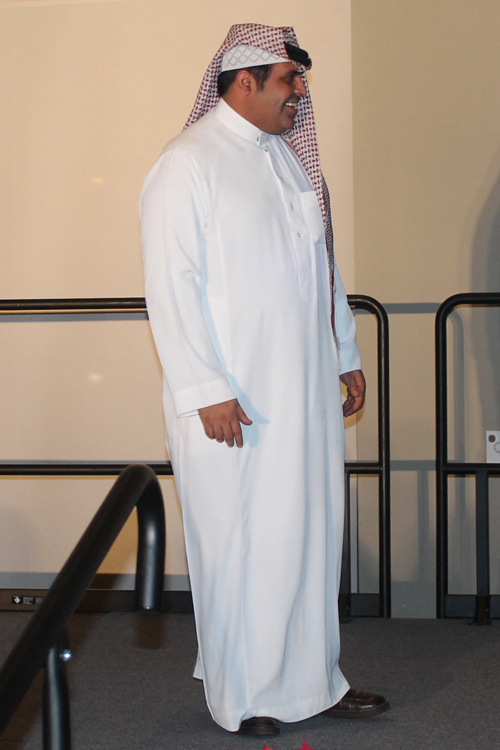 He modeled his Jordanian attire at the International Fashion Show which featured traditional costumes of dozens of countries. Submit your Cleveland jobs, classes and other opportunities for Jordanians. Submit your Jordanian Feedback and Memories. Following World War I and the dissolution of the Ottoman Empire, the League of Nations awarded Britain the mandate to govern much of the Middle East. 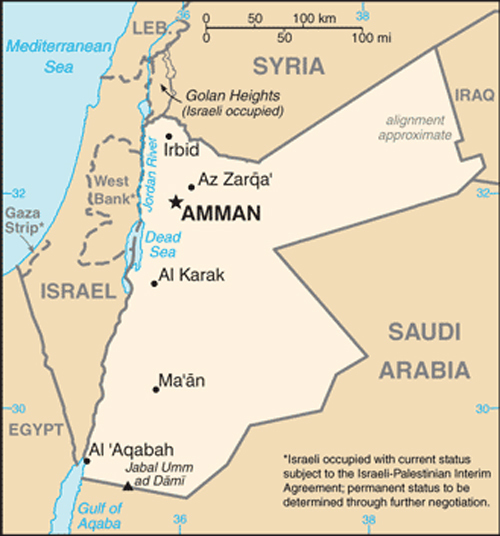 Britain demarcated a semi-autonomous region of Transjordan from Palestine in the early 1920s. 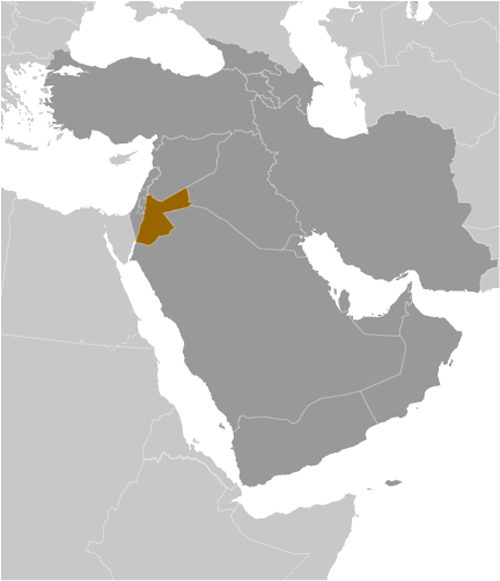 The area gained its independence in 1946 and thereafter became The Hashemite Kingdom of Jordan. The country's long-time ruler, King Hussein (1953-99), successfully navigated competing pressures from the major powers (US, USSR, and UK), various Arab states, Israel, and a large internal Palestinian population. 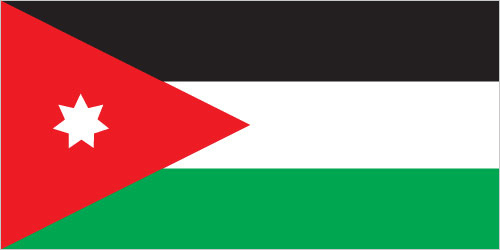 Jordan lost the West Bank to Israel in the 1967 Six-Day War. King Hussein in 1988 permanently relinquished Jordanian claims to the West Bank; in 1994 he signed a peace treaty with Israel. King Abdallah II, King Hussein's eldest son, assumed the throne following his father's death in 1999. He implemented modest political and economic reforms, but in the wake of the "Arab Revolution" across the Middle East, Jordanians continue to press for further political liberalization, government reforms, and economic improvements. In January 2014, Jordan assumed a nonpermanent seat on the UN Security Council for the 2014-15 term. Submit your Cleveland Guinea cultural items. Read more about the Guinea and other Ambassadors. If you are interested in being considered to be an official ClevelandPeople.com Ambassador to the Cleveland Guinea community, please contact us. If you want to reach the Jordanian community in Cleveland and Northeast Ohio, please contact us.